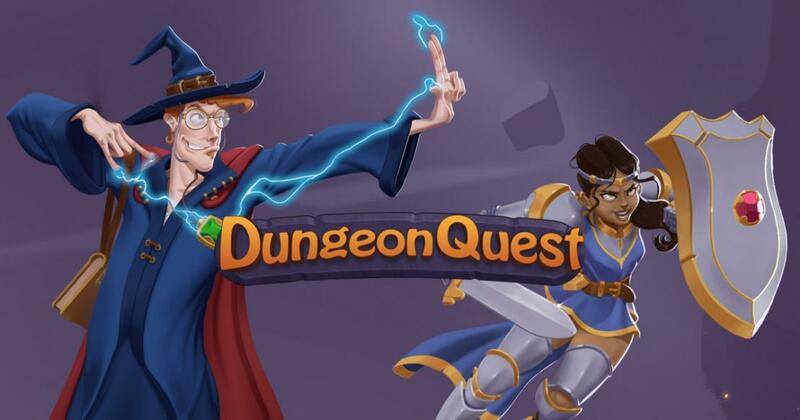 Dungeon Quest, a Nolimit City slot machine, is going to take us on an adventure, in a fantasy world where elves and mages exist. A true dungeon story, the kind of which you’ve played in video games, is a great theme to use in a slot machine, provided that it’s well handled. In the case of Dungeon Quest, the story is present in the background image, but the reels are unfortunately filled with various cartoon-style gemstones, so you can’t even take them too seriously. W logos, Power Stones, gems of different colors that are set in gold, along with uncut versions of those same stones, these are the symbols you’re getting on the big game area which you use here. The background is telling a story which includes a motley crew of adventurers, from Nord warriors, to Eastern knights, mages and even dark elves. They’re nowhere to be seen on the reels though. The game area in Dungeon Quest is going to have 5×7 reels, so there are 35 symbols present at a time, with only 29 lines active for that entire zone. For one, we know that the slot has an RTP of 96.22%, which is quite high, and there is also the game’s own prize of up to 100x that will be paid. The slot’s potential, for a single round, is at only $500 per line. Wagering starts from the minimum value of $0.20, and as the player increases the value, it can reach $100. There are 20 coins in the wager, even though you get 29 lines in exchange. The maximum line bet allowed seems to reach $5, with a minimum of only $0.01. Among the symbols offering the bigger payouts, you will discover the W Logo Wild as well. You may use such symbols as substitutes, but if they cover all five positions of a line they create a combo which pays 100x. Power Stone is a random feature, which triggers and replaces an area of 2×2 with wild symbols. It also picks one random Ore and turns all instances of that icon into wilds. Gem Forge is another random bonus, where one Ore is replaced with another in all positions currently occupied by it. After that, the Ore is upgraded to Gem status. Scatter symbols will be responsible for triggering 4 Alchemy Spins, should they land on the 1st, 3rd and 5th reels. Dungeon Quest should be quite the interesting game if you’re looking for something different. It’s just a shame we didn’t get a more interesting design out of it. Try of out a demo version of Dungeon Quest.